2. A 20th century classic: Howard's End by Forster (1910); I am determined to read at least one book with the Close Reads podcast this year. 4. 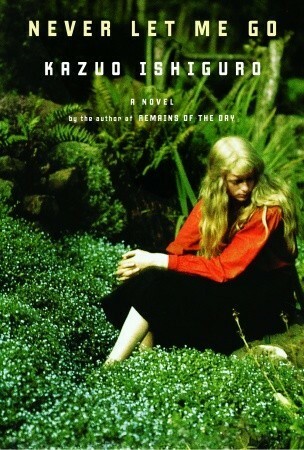 A classic in translation: The Cross by Undset; this is the third book of the Kristin Lavransdatter trilogy. I read the first two in 2016. 5. A children's classic: The Jungle Book by Kipling; I have lots of options here. 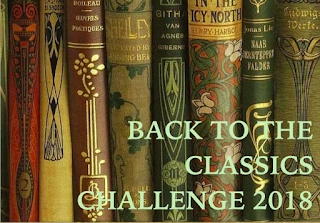 We'll read aloud many children's classics throughout the year. 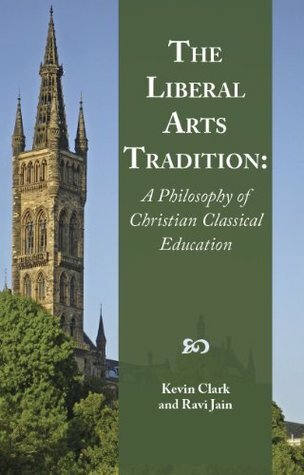 I am slowly making my way through The Liberal Arts Tradition by Clark and Jain, and am learning so much about the Christian Classical educational tradition (say that five times fast). Along with Andrew Kern's podcast, the pieces are beginning to come together in my mind. "Since human beings are more than just intellects...the curriculum must develop more than just intellectual virtue. Creatures formed in God's image must be cultivated in body and soul -- mind, will, and affections." "This full-orbed education aims at cultivating fully integrated human beings, whose bodies, hearts, and minds are formed respectively by gymnastic, music, and the liberal arts; whose relationships with God, neighbor, and community are marked by piety; whose knowledge of the world, man, and God fit harmoniously within a distinctly Christian philosophy; and whose lives are informed and governed by a theology forged from the revelation of God in Christ Jesus as it has been handed down in historic Christianity." "Grounded in piety, Christian classical education cultivates the virtue of the student in body, heart, and mind, while nurturing a love for wisdom under the lordship of Christ." "The foundational distinction between traditional education and modern education is that the ancients believed that education was fundamentally about shaping loves...It was an education in love. Personal values were not simply explored or discovered on one's own but were passed down and lived out. This required trust and commitment, and thus piety, the proper love and fear of God and man, was the critical virtue. It aligned one's will with the family, society, and God, and expected the young pupils' desires, beliefs, and habits to be shaped over years in the process of incarnating them." "...the metaphysical and theological beliefs passed down through the culture, church, and universities truly governed the forms and content of the curriculum as the faculties of universities sought to understand the ways of God at work in the world...Education in this manner, coupled with the grace of Christ, was not a matter of indoctrination, but about bringing each nature to its fullest potential in a living and vibrant community." Here's what we finished in September! 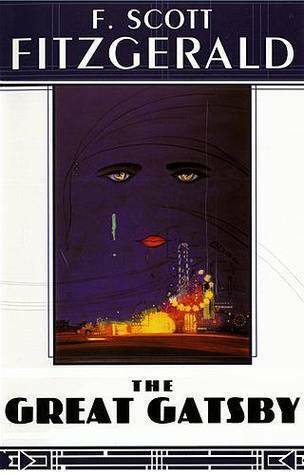 **** I was pleasantly surprised with The Great Gatsby. I expected it to be a slog; maybe I have some unconscious memory of reading it in high school and not liking it, probably because I would have been too young to appreciate it. Instead, I found this book to be very readable and engaging. Beyond the big idea about how "the love of money is the root of all evil," this story made me think about the foolishness of the world and how blind we can be when we build our lives on worldly things. These characters either didn't see, or refused to see, how meaningless their lives really were. *** I had no idea what this book was about when I started it and I think that adds to the experience. I thought it was brilliantly written. The interconnectedness of the narrator's memories and how she slowly learns the truth about her life and the lives of her friends was so well done. However, the overall story was just not my cup of tea. I don't want to give anything away, and I do think it's worth reading. There were many layers and themes - destiny, ethics, relationships, education - that are worth thinking about. ***** We should never stop sharing about God's grace working in the life of a believer. 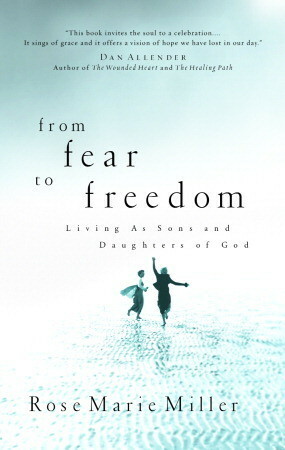 That's what Miller does in this book - she forsakes her vulnerability and shares the deep, selfish workings in her heart that kept her from truly understanding and living with freeedom in God's love. She tells the story of how God worked in her life to bring her to her knees and finally accept His grace. Miller's story is our story - we all, like Job, must be brought to a place of humility so that we can let go of our self-centered ideas about God, and our self-righteous attempts at earning His merit, and finally begin to build our lives on what Jesus did on the cross. It's not a one time thing; it's an ongoing journey. And it's all such a beautiful paradox - we fight for control to be free from others, when what we really need is freedom from ourselves. Freedom can only come when we let go of ourselves and our desires and allow God to carry us along. 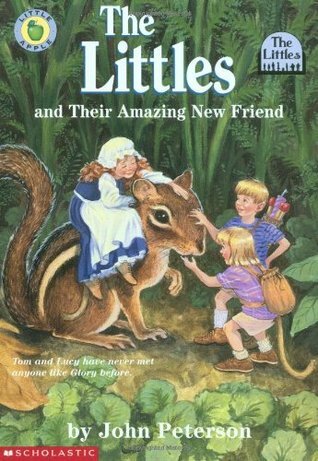 **** The girls loved this book. I found it easy and delightful to read aloud. The story was interesting and fun and emphasized the importance of respect for persons. There were a few instances of light swearing (is there such a thing as "light" swearing? The *f* word to me is hard swearing, I guess. ), which I nonchalantly skipped over. I understood the purpose of the swearing, but still, it's a children's story. When we finished the book we watched the movie and I was a little disappointed (the girls were, too). They changed quite a bit (which movies usually do), and included more swearing, plus a scene in which the boys were watching something inappropriate on TV. Why? Why include that in a children's movie? I don't get it. Be forewarned. 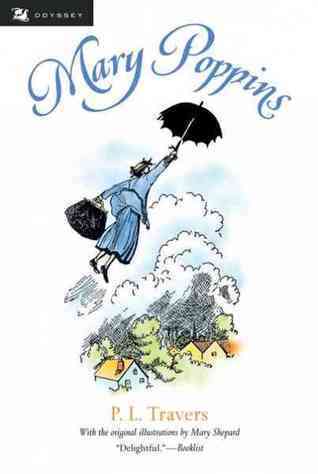 **** Another fun read-aloud, although Mary Poppins was not what I expected. She wasn't the nicest nanny, and was quite vain. But the children in the story loved her as their nanny, and my girls loved her, too! They said it was because she was magical, and opened up an enchanting world to the children. I thought it was just pure, imaginative fun. Izzy loves fantasy, and that is what her free reading has mostly consisted of. 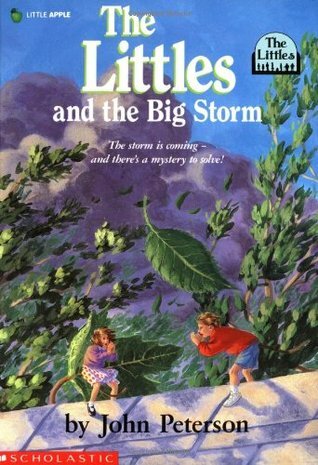 Somewhere in the homeschool world some moms were talking about how wonderful Enid Blyton's fantasy books were. 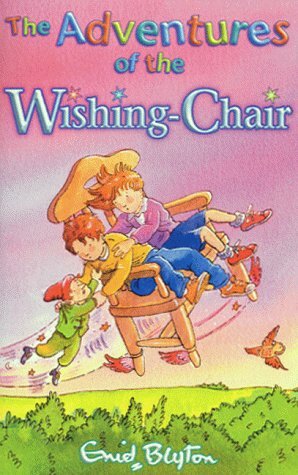 Our library didn't have any of them (I don't think she's well known in America), so I promptly bought her Wishing-Chair books and Faraway Tree books when an online bookseller was having a sale. And Izzy is loving them! 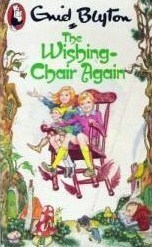 She finished all three Wishing-Chair books, and she finished the last two books in The Littles series (which she loved as well). When we first began homeschooling I was very concerned about finding the perfect book list. I knew pretty early that I resonated most with Charlotte Mason's (CM) methods of education, so all that remained was to implement it. I thought for a long time that if we weren't reading from "the perfect book list," we wouldn't be "doing" CM. However, the perfect list of books is not out there. (Well, maybe it is, but we can't read every book, unfortunately.) What matters is the methods and principles: narration, the use of living books, recognizing that children are born persons and all that comes with that, and many, many other things. And I've also come to the conclusion that what matters especially in the first few years of a child's education, i.e. grades one through three, are the skills and habits that are being honed. So, in the early years we are to provide the child a feast of books on a wide variety of subjects in a gentle manner. The term 'gentle' I don't think means that the schooling is necessarily easy, but instead should be non-stressful for the child; we shouldn't be cramming information down his throat, demanding that he learn this or that by this time or that time. The process of learning from a variety of whole, living books should be a delightful experience. And let me say that I was so relieved - and that it brought to me a sense of rest - to read CM's words about how it doesn't matter in these early years whether the child understands everything that's read. What matters is that "he should learn to deal directly with books." I'm understanding this more and more as I educate my firstborn, that right now it's about my child learning to attend, learning that knowledge comes from books, that narration is the act of knowing, that I (the teacher) am not to interfere with the child's dealing with the book - I am not to spoon-feed the child. As a result, it's not as important that the child read this book, or that book, as it is that he is learning how to learn and how to think. *This list of books are the books from which Izzy narrates. We also read Bible stories and poetry everyday, as well as other free reads and picture books. This year I asked Izzy (7) what she was interested in learning about as far as natural history goes, and she said "ponds". So, we're reading from Among the Pond People. We'll probably finish this before the year's end, in that case we'll pick another book. We're also reading Wild Animals of Africa, something a little different that I haven't seen on any book lists. I noticed that a book about zoo animals was incorporated in the PNEU curriculum, so I thought this one about African animals would be fun and interesting. This is all we're doing so far. I'm saving Mason's Elementary Geography and Long's Home Geography for next year so that I can combine my two older girls. As far as the My Book House series (which my awesome mother so generously bought for us!! 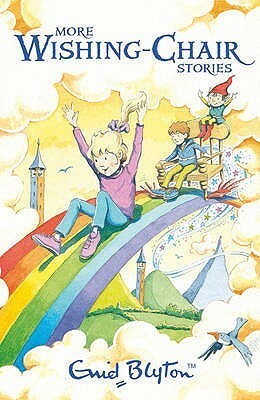 ), I'm choosing stories from the first six books for Izzy to narrate (except from the first one, as that's just nursery rhymes). This is a day-in-the-life of our homeschool. This is just one day – not every day looks like this, of course. The beauty of life. Izzy (7) is a second grader, Addy (5) is technically a kindergartner, and Paige is almost one! I eat breakfast before the girls this morning. I’m trying to make this a habit: get up around 6:30 when Jared’s alarm goes off, dress, brush teeth, wash face, get coffee, get Paige and nurse her because this is when she’s been getting up lately, put her back down because she’s still sleepy, read a little, eat breakfast and read a little more, wake the big girls up around 7:45 if they’re not up already (they haven’t been). I then read Psalm 150 twice which we are currently memorizing. I read a poem by Walter De La Mare, our term’s poet. The girls were done eating so we cleared the table, they got coloring books and I read for 10 minutes or so of “King Lear” from Lamb’s Tales from Shakespeare. We can never read huge chunks of this – I read a couple of paragraphs then we rolled the dice to see who would narrate. I was evens, Izzy odds. We rolled an even the first two times, so after the third reading I told Izzy it was her turn. Incidentally, the beginning of “King Lear” introduces the king’s two older daughters as shallow and hollow people, but unfortunately neither of the girls made that connection with our Bible story. I guess I could have asked the question, “How does this compare with what we read earlier about the Pharisees?” but I just now thought of that. Poo. At some point Paige woke up so I brought her into the kitchen and she had her breakfast and hung out with us in her high chair. I cut up a cantaloupe and we take the rinds outside, a few lots down, to the aforesaid baby bunnies. There are three of them in a hole in the middle of a vacant lot. Izzy and I went to the store the other night and on the way home I spotted a rabbit in that lot. When we pulled into the driveway, Izzy got out and walked over towards the rabbit, very slowly, and spotted the babies. She ran back, we got Addy, they put on rain boots (because it was a little rainy) and we all trekked back over. The mama had hopped off a little ways but kept her eye on us. The hole is to the right of the big piece of cantaloupe rind. Back at the house, I have Addy pick a book (she picks a Curious George story) and we three sit on the couch and read. Paige plays in the floor. I then read a few pages of “The Minotaur” from Tanglewood Tales to Izzy and she narrates. Addy leaves to go play with the globe. Halfway through my reading to Izzy, Paige gets fussy so I nurse her and finish reading. We then move back to the table because Addy wants to paint. Izzy and I do a reading lesson, with regular commentary from Addy (she’s good at creating sentences with the words Izzy is learning to read). Izzy doesn’t end up actually reading any sentences today because all we manage to do is learn about eight new words in our allotted time (15-20 minutes). I don’t want to go too long and risk Izzy becoming bored. Short lessons = eagerness to learn (hopefully). So far so good. We’re I’m hungry by now (it’s around 11:15 or so), so we break to fix lunch and the girls play. I eat and start laundry and try to clean up the kitchen some. The girls sit down around noon to eat. I alternate cutting up small pieces of cantaloupe and smashing them for Paige (as she only has a limited amount of teeth to work with) and reading The Voyage of the Dawn Treader. Due to Paige shoveling down her food and my effort to keep up, general conversation, and Paige’s loud cries of commentary, i.e. baby shouts, we only manage to get through half of a chapter. We clean up the kitchen, I mess with the laundry, and make Izzy and Addy go outside in the back yard. They have been resistant to this idea all summer because it’s been so hot. But the weather is cool this week – low to mid 80s, and they need it. I nurse Paige, she goes to sleep, I read a little and pick up a little. The big girls keep wanting to come in but I tell them a few more minutes. “But you already said that.” I know. But because of my insistence that you stay out, you end up constructing an apparatus to transport toys back and forth to each other with a bucket. See? It’s good for you. I finally let them come in around 2:00 and they play for 15 more minutes before we have our daily rest/quiet time. Izzy gets some books to look at, I get a book (the first book in the Kristin Lavransdatter trilogy), and Addy has to go lay down with nothing, poor thing. It would do her good to nap and I’m trying my best to convince her of this, but she isn’t buying. Izzy lays on my bed and I read a Curious George story to her because “Addy got to pick one this morning and I didn’t.” Then I lay on the couch and Addy gets up to tell me something every ten minutes. Addy finally lays on her bed without getting up for about 15 minutes before Paige is up, and then we’re all up. It’s time to check on the bunnies again. While we’re watching the bunnies I think of a podcast I listened to last week about how observation skills need to be taught and wonder cultivated. So I ask the girls if they have any questions about the bunnies. Is there anything they’re wondering about? Addy has lots of questions, but Izzy not as much. Maybe it’s her age – I have to really coax her to slow down and think a minute. Or it could be her personality – she’s an on-the-go person. She finally comes up with “Do they ever come out of their hole?” Good question. I wonder why the mommy didn’t put them in a hole under the big tree 10 feet away with overgrown bushes all around it, and “Do the babies rotate positions in the hole? Because one has his bottom facing the opening and I bet it wants to switch places eventually.” Addy comes up with “Why do they have a white spot on their foreheads?” and “How long are their legs?” and “When will the mama come back?” and “Where is the mama?” and “Can they hop?” and “When were they born?” which leads to “I wonder how the babies come out of their mommy’s belly?” She’s still asking these questions as we walk back to the house, and saying over and over again how she’s soooo glad and thankful we have bunnies to watch over. And then she concludes that maybe the mommy will let us have one of the bunnies, or two of them, or maybe all three because she’ll just have more anyway. I laugh the whole time. When we get back to the house we park in the shade and eat popsicles. Paige also tries to eat a marigold. I write down our bunny questions so we don’t forget and the girls play outside a little before we go back in. And, Paige stands up on her feet for the first time ever! That’s pretty much our day. The rest of it is normal hanging out and playing and doing some chores and dancing to folk songs and getting dinner ready and Daddy coming home and eating dinner and checking on the bunnies one more time and getting ready for bed. Oh, and I just want to be clear that there was some fussing and some “That’s not how we treat other” talks and some “Obedience means do it right now with a good attitude” sermons as well. Ahhh, I’m pooped. But in a good way. And so very thankful to be able to spend this time nurturing, discipling, teaching, and learning with these precious kiddos. And thankful for God’s grace EVERYDAY. He knows I need it. I've felt stressed lately about getting All The Stuff done. I emailed an online friend and she was SO encouraging. She reminded me that all will be well if I cut back for awhile. I am in a season - with a baby and young children - and I don't need to try to do everything I think we should be doing. Plus, we all know that education is an atmosphere, and if I try to cram in more than is necessary at this time, causing unnecessary anxiety to myself (and taking it out on everyone around me), what will my children really be learning from me? Nothing worthwhile. A few weeks ago, on a day in which we got nothing done and I was feeling discouraged, Izzy came out of her room at one point during the day with a book she had written! She had been working on it most of the day, here and there, sounding out words (many of them misspelled and all of the letters 's' are backwards :) ), illustrating it, and taping it all together. It's about her favorite animal - a lion. They're laughing at their favorite part in the book - when Addy faints because she sees the lion. She created. She thought. She put forth effort. And then proceeded to read it about 120 times in a row, lol. She was so proud. So, I would say it wasn't a wasted day. We finally took Izzy's training wheels off of her bike. She hasn't ridden it much lately, so we hadn't really thought about it. But over the weekend I asked her if she wanted us to take them off and she said yes. Jared was the nervous one this time, not me!, but we convinced him, and she did it on the first try! She was definitely ready. We've been enjoying the beautiful spring weather, as I'm sure you all are as well. We've gone on lots of nature walks and identified different plants and things, but the nature journaling hasn't been very consistent around here. Anyone else need encouragement in this area? There's a neat bird sanctuary close to where we live with tons of bird - peacocks, guinea fowls, turkeys, and much more. I don't think I ever realized how ugly the heads of turkeys are. This girl and her cat. 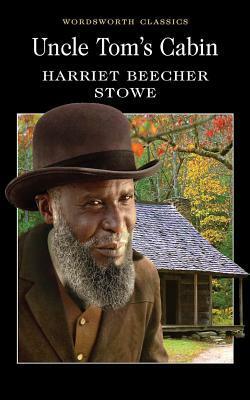 "For many years of life, the author avoided all reading upon or allusion to the subject of slavery, considering it as too painful to be inquired into, and one which advancing light and civilization would certainly live down. But, since the legislative act of 1850, when she heard, with perfect surprise and consternation, Christian and humane people actually recommending the remanding escaped fugitives into slavery, as a duty binding on good citizens, - when she heard, on all hands, from kind, compassionate and estimable people, in the free states of the North, deliberations and discussions as to what Christian duty could be on this head, - she could only think, These men and Christians cannot know what slavery is; if they did, such a question could never be open for discussion. And from this arose a desire to exhibit it in a living dramatic reality. She has endeavored to show it fairly, in its best and its worst phases. In its best aspect, she has, perhaps, been successful; but, oh! who shall say what yet remains untold in that valley and shadow of death, that lies on the other side?" According to this website, Uncle Tom's Cabin was banned at one point because "the contextual, historically and culturally accurate depiction of the treatment of Black slaves in the United States has rankled would-be censors". This story was very moving. It's kind of difficult to describe my feelings about it - it wasn't a hard read necessarily, but it wasn't an easy one, either. There were times when I didn't want to pick it up because I wanted something lighter, but when I did pick it up, I quickly became engrossed in the story again. There were tough things to read about (nothing gruesome, though, thankfully), especially knowing that events like these really did happen. I know some may shy away from a book about this particular topic, but I'm glad I read it and highly recommend it, especially to Christians. 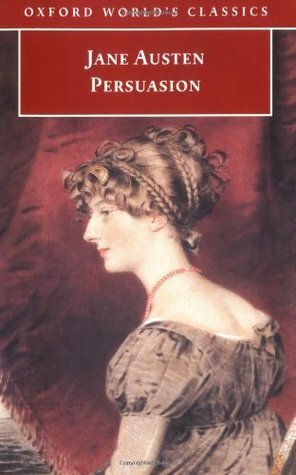 Stowe was obviously a Christian - the main character is a believer and the book is full of scriptural references. It was chocked full of faith and trust in God. And even though the topic of the book covers a difficult subject, it was also a very uplifting read. I read it on my kindle and highlighted quite a bit. *Disclaimer - I'm not planning to give a synopsis of any of the books I review. I don't like to read them in others' reviews because I can always find out what the book is about. I do, however, enjoy reading why someone liked a book and what that person may have gotten out of it. So, that is what I plan to do. The idea of persuasion and influence, and the consequences - good or bad - that can result from being influenced by others (or by influencing others), is the overarching theme of Persuasion.